Exclusive Group Cruises - Just Cruises, Inc.
As a preferred supplier for many of the major cruise lines, we have been able to negotiate cruise rates that are often the best cruise deals available. If you do not find what you are looking for here, check out our other deals on the website or search for your preferred date and destination using our our booking engine. If you have or want to start a group of your own, give us a call. Leave your group cruise needs with us and we’ll take care of the work, so that you can relax and start looking forward to your vacation today. *All prices are per person based on double occupancy. Taxes, an additional $130.52 per person are not included. Call for prices on 3rd or 4th person in a stateroom. Gratuities are an additional $77.70 per person. Give to a GREAT Cause! 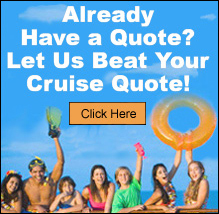 ** Rates on above cruises are per person, cruise only, based on double occupancy. Government taxes are additional and vary among sailings. 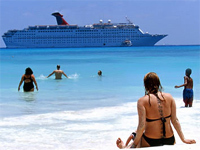 Cruises and prices are subject to availability until secured with a deposit.